It was the best of times…it was the BLURST of times??? Allllllllright, Ottawa traded Ben Bishop, he of genial giantism and excellent goaltending, and who was previously acquired for a 2nd round pick, for Cory Conacher and a 4th round pick. I will take this over the usual “2nd round pick for Andy Sutton” ilk any day of the week. 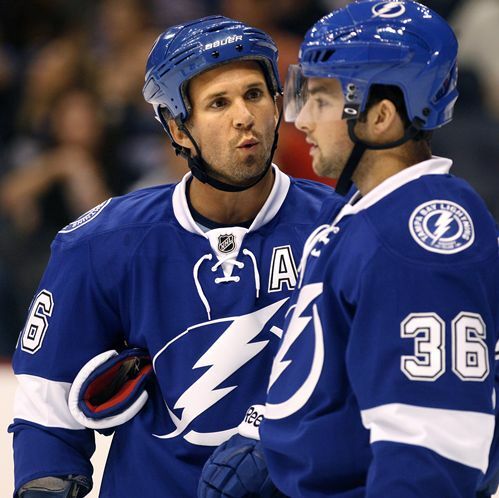 Now the pendulum is swinging back the other way: did Conacher benefit from playing with a generational talent in Stamkos? Are his possession stats and zone starts a cause for concern? (Yes.) Is he having an outlier season for an undrafted and tiny forward? Did we actually get hosed? Tampa paid nothing for Conacher and got a good season out of a rookie. And they parlayed that into a guy who could end up their starting goaltender, a guy who has outright won games for Ottawa that Ottawa had no right winning. This is what swinging for the fences looks like in Ottawa. Most teams throw a huge number of years and money at a player with only a year or two left in their prime. Ottawa trades what amounts to a 2nd round pick for one of the best rookies of the year and hopes it’s not a fluke. I don’t really mind this when you consider that it fits the long term plans of the club, the prospect cupboard is full, and Murray basically had to trade Bishop anyway. What was he going to do–pay him RFA money to maybe not play at all? It’s a risk, sure, especially when you consider that Bishop could have been the cornerstone in any number of bigger trades, but it could have also been WAY worse. Ottawa held on to their 1st round pick; they kept all of their premier prospects; and they didn’t trade for Marian Gaborik. The problem with Conacher is that he’s here to score, and score only. He can’t be conveniently demoted down the lineup and play a checking role if his scoring touch goes cold . He needs to finish, and finish consistently. His shooting percentage this season is a ridiculous 17% (which is actually less than his shooting percentage last year in the AHL, if you can believe that), but you can’t help but wonder if we’re on a train to regression town. Whatever. It’s a risk, but I’d much rather risk a goalie for a forward than the other way around. Goaltending is a mystery wrapped in a pastry gone cold. (Think about it.) Remember Vermette for Leclaire? I wish Bishop all the best; he seemed like a really great team guy and is in his prime. He gets to play with some big names in Tampa. If you keep acquiring guys that seem to have potential, eventually some of them are going to turn out to be stars (just look at EK). So maybe Cory works out, and maybe he doesnt, but its the right move because its another chance at someone great. 45-save shutout by Bishop. Conacher needs to light it up tonight in Barfalo, this trade is looking like a bust unless he gets 2-3 goals in his first game. Agree completely. All trades should be assessed only in the first twenty or so minutes after they’re completed.